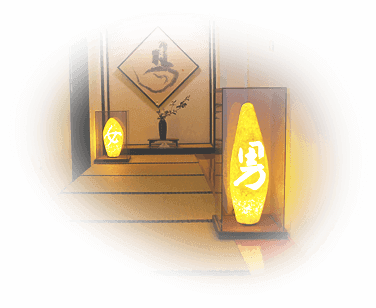 Welcome to the homepage of Kirinzan Hotspring, Yukitsubaki-no-Yado, Furusawaya. 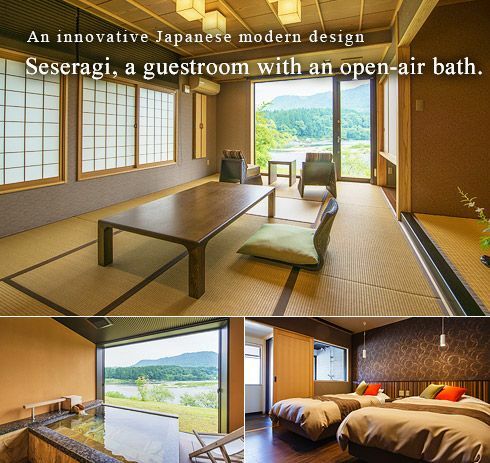 Our traditional Japanese wooden hotspring inn stands at the base of Kirinzan and overlooks the Agano River and Iide Mountains. The scenery surrounding us is famous for its beauty and there are many wild plants that grow throughout the seasons. 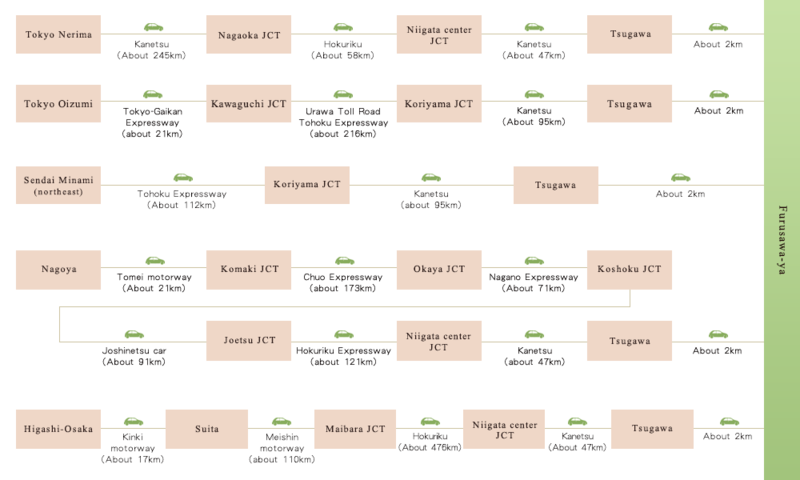 Our 1000 tsubo (approx. 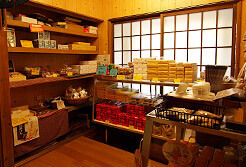 3300 m2) yukitsubaki (camellia rusticana) garden has 2000 trees of camellia and cherry that bloom during the spring, giving a healing experience to visitors. 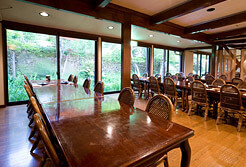 Our inn was founded in 1935. We have maintained many parts of the buildings since the date of our founding and take pride in keeping harmony with nature. 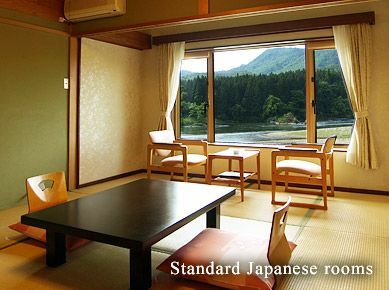 Beyond the window is one of the largest rivers of Japan, the Agano River, and a vast natural scene. 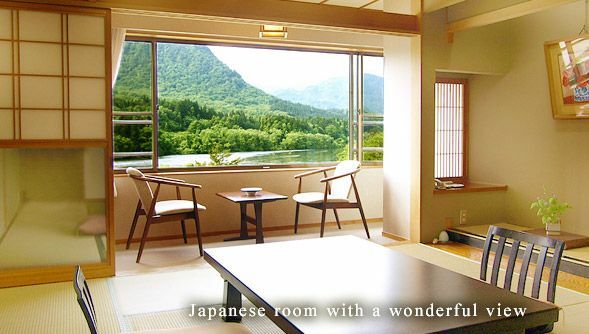 Through the authentic Japanese rooms, you can view the Agano River as well as the beautiful mountains beyond. We hope that you will unwind from your journey in a relaxing room by looking at the natural scene and listening to the chirping of the birds and the sound of the river. 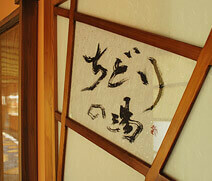 We hope you can enjoy the natural hotspring here. 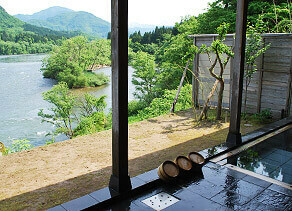 We have a private open-air bath with a beautiful view. 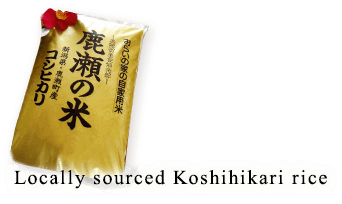 The bathtub is made of stone that is locally-sourced from Yazawa. The roof has a spine made of maple wood while the rest of the roof is all cypress. 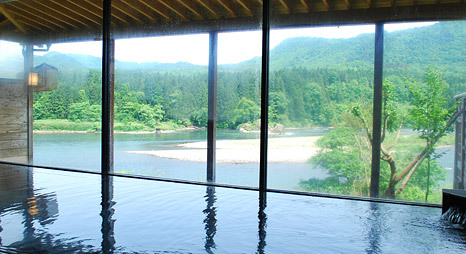 The open-air bath is large enough for 4 to 5 adults. 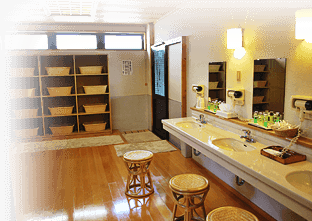 We also have an indoor bath in a nostalgic round shape. This is perfect for couples, families, or groups. The big public bath is adjacent to the open-air bath. 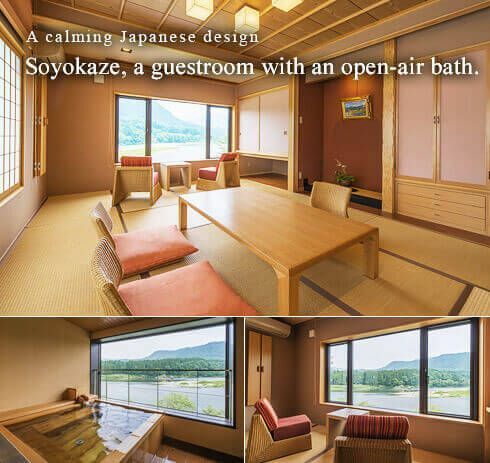 Through large glass windows, you can have a grand panoramic view of the Agano River. 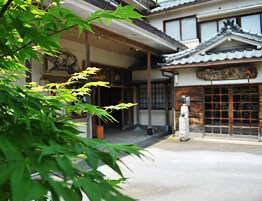 Kirinzan Hotspring of Niigata is blessed with many resources from the Sea of Japan as well as the mountains. We have a treasure trove of fresh ingredients. 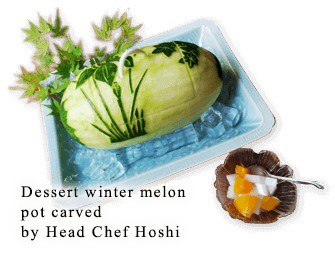 We use carefully selected seasonal ingredients and our head chef will bring out the best of each. 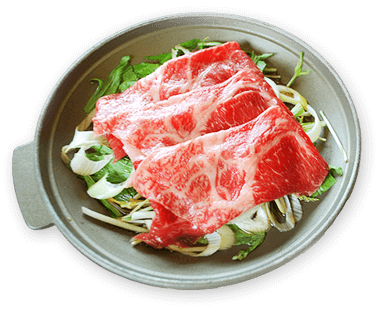 We hope you will enjoy the cuisine as well as its beautiful presentation. 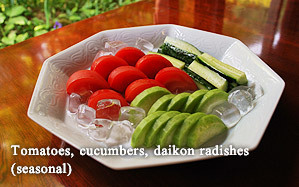 Our cuisine uses locally sourced fresh vegetables and wild plants. 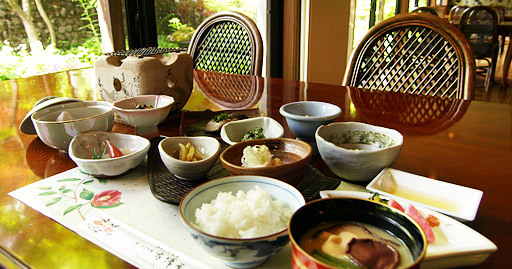 For breakfast, enjoy your morning coffee with freshly ground beans at our restaurant "Maihime." 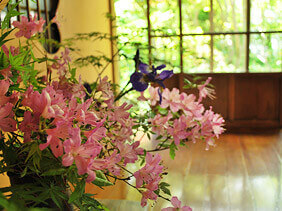 From the large windows, you can view our garden and enjoy your breakfast on the brightly-lit floor. ingredients that are healthy for you. by our contract farmer, Oe. 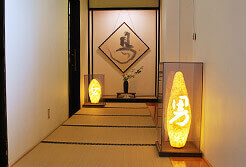 Our hallways have a distinct atmosphere laid with a base of keyaki wood. 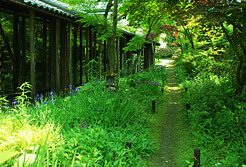 The tatami mat path leading to the bath, the natural garden, and everything else is designed to allow you to forget your daily life and to fully relax. Copyright © FUrusawaya. All Rights Reserved.